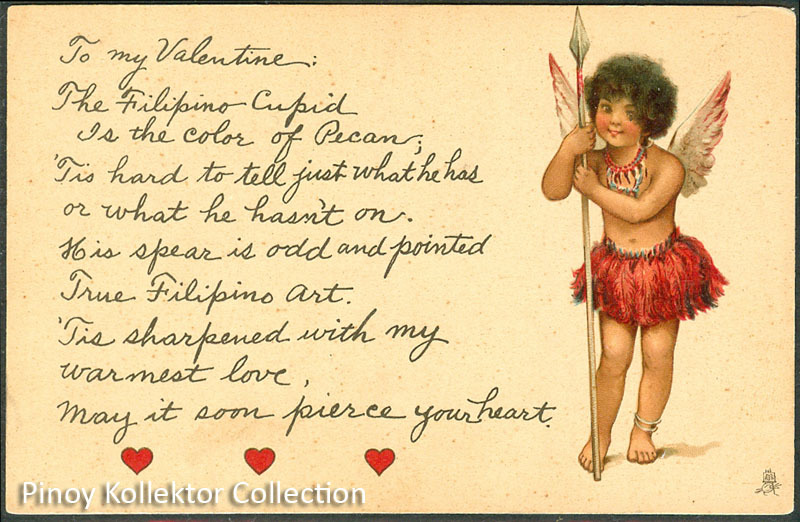 Collecting vintage and antique valentine cards has emotional appeal to everyone; regardless of age, and gender. The valentines of the past reflect everything from social history, romance, imagery, artistry, emotion, and just plain fun! The cards below have delightful art with sense of history and entertaining verse that one could possibly want. 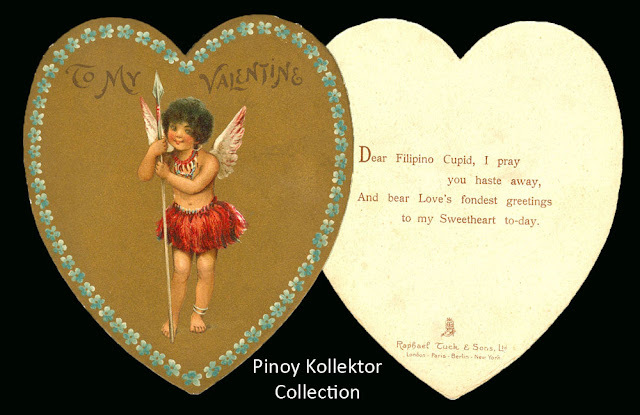 They were made by RAPHAEL TUCKS of England in 1910, featuring a cute Igorote cupid with a romantic message to a special someone. Is the color of Pecan. or what he hasn’t on. May it soon pierce your heart."